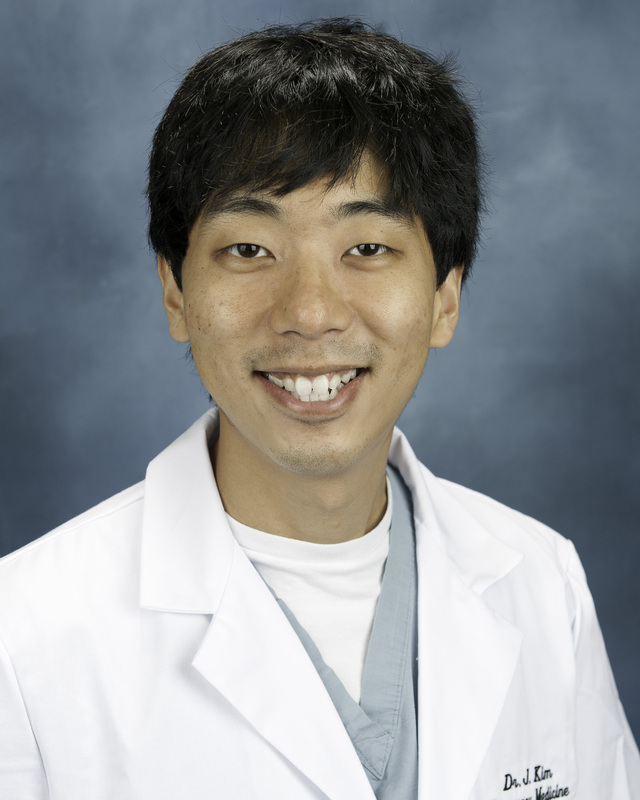 Dr. Kim is a member of the 2013 graduating class in emergency medicine at Palmetto Health Richland. As a Korean-American, I have always been curious about exploring my heritage. Fortunately, I have had the opportunity to visit South Korea several times, including two trips during residency. Each time I visited, I realized that I had developed a desire to live in South Korea one day. But deciding to work in Korea as a physician was an enormous decision, and I did not want to make it lightly. I wanted to have the chance to explore the life of an emergency medicine physician in South Korea before making such a life-altering decision. After a 14 hour flight, I had finally arrived at Incheon, a city adjacent to Seoul that hosts the international airport for South Korea. 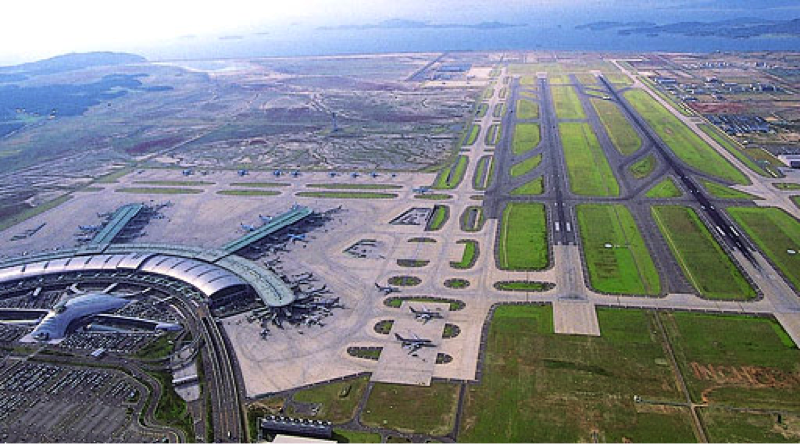 If you have never visited Seoul, Incheon airport is quite the sight. It has been acclaimed as one of the best airports in the world by several rating agencies. 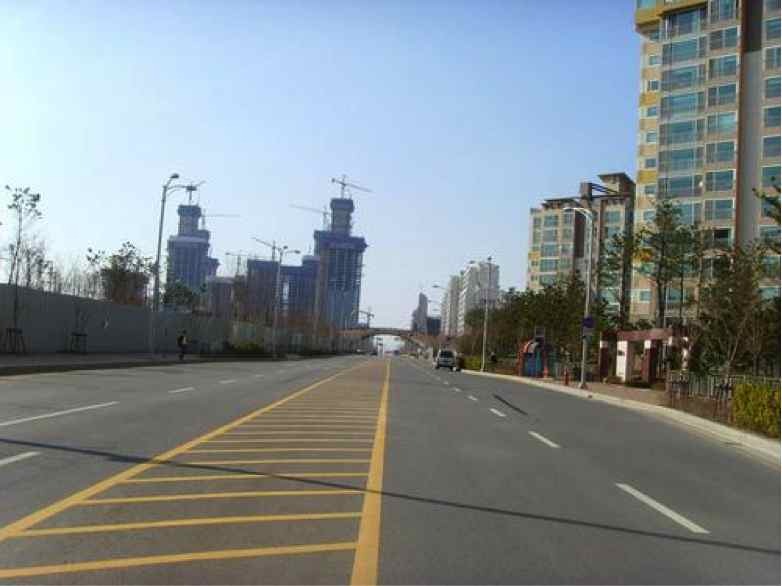 But what is more intriguing is the city Korea is currently building near Incheon airport named New Songdo City. Its a planned city that is being built on reclaimed land from the sea, and meant to attract foreign investors. Part of the project involves the construction of an international hospital to be co-staffed by US physicians. I did spend one day at New Songdo City and it looks nearly complete. There are people living there, but it is still not nearly as populated as Seoul. On my first day at Asan hospital, I had the opportunity to meet one of the Department of Emergency Medicine attendings, Dr Won Young Kim. 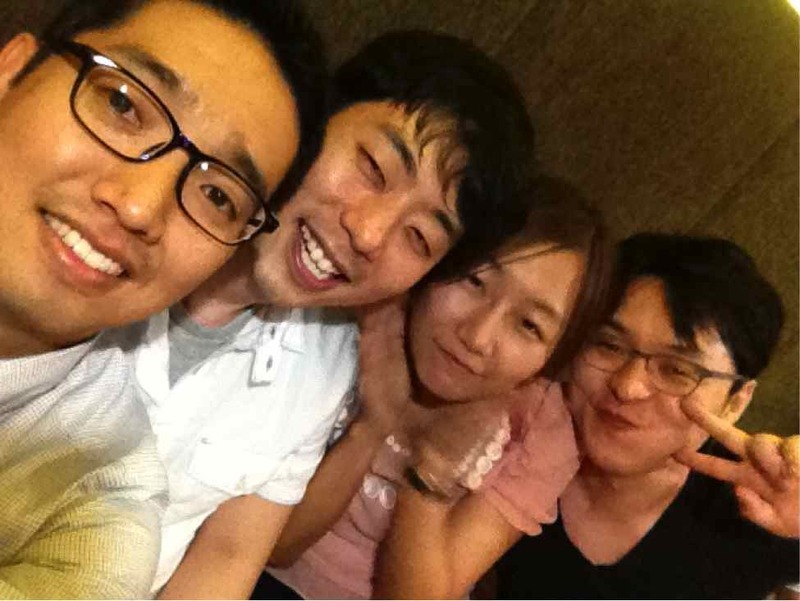 We conversed over the differences in practices between South Korean and US Emergency Medicine. Afterwards, he gave me a guided tour of the facility, and introduced to all the faculty and residents. Their emergency department is similar to the POD system we have in the US. They divide the patient care areas into a fast track area, the main ED (which contains two resuscitation bays), a separate pediatric emergency department, a dedicated ED for cancer patients, and a fully equipped ICU/observation area called the acute care unit or "ACU". For the first day, they graciously allowed me to observe in their main ED. 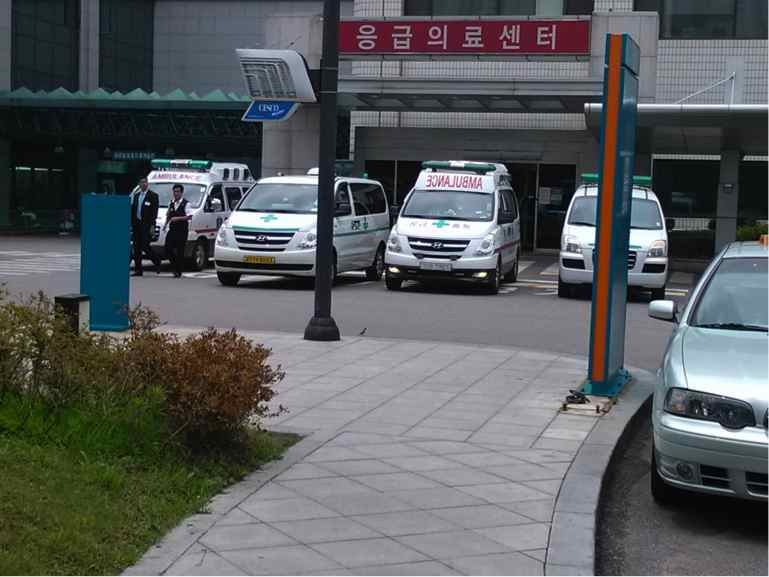 Just like any other emergency department, you would describe emergency medicine in South Korea as controlled chaos. The first patient I encountered was a middle-aged woman who had a known malignant effusion. She had presented due to worsening orthopnea, and was placed in the resuscitation bay. It just so happened that the patient was being worked up by the ultrasound fellow, and as she performed the bedside ultrasound, we noted a large pericardial effusion. There was some question as to if there might be RV diastolic collapse. During her clinical course, her blood pressure dropped to 70's/50's despite IVF resuscitation. Cardiology was consulted, who were on their way to evaluate the patient. While we were evaluating this patient, EMS brings in a second patient of an elderly gentlemen who had a HR of 180's. The chief resident decided to manage this patient. He had a history of V-Tach and underwent ablation in the past, but required ECMO during that hospitalization. The patient appeared to be diaphoretic, but his blood pressure was within normal range. An EKG suggested SVT and adenosine was administered with no effect. It was decided to sedate the patient, in order to attempt cardioversion. Unfortunately, the patient had no response to the attempts at cardioversion. Cardiology was consulted and they had recommended an esmolol drip. However, during the interval period, the patient's HR climbed to 240 and eventually the patient lost a pulse. CPR was being initiated, when EMS brought in a third patient whose HR was in the 200's. They placed this patient in between the two other patients in the resuscitation room. Unfortunately, as the ED was out of beds, they had to place the patient on the floor of the resuscitation room. The R1 was managing this patient, with assistance from the chief resident, who was going back and forth between both patients. She was apparently in SVT and was successfully cardioverted with adenosine. Once the storm settled down, I had the opportunity to ask the chief resident if it was always this busy. He said that today was a usual day, because Asan essentially never goes into diversion, ED crowding has become a huge issue. If a patient arrives to their ED, they will find some area to place the patient. The hospital was gracious enough to provide dorms for my stay at Asan, so I got to live right next to the hospital. The day usually starts with their morning conference, which started at 7:30am. During this time, all of the residents and attendings will run the list of all critical patients in the ED. Afterwards, there is about a 1hr didactics session for the residents. Many of the topics are quite informative, that month they focused on ATLS, but other interesting topics such as NSTEMI/USA and pulmonary embolisms were covered by Dr. Kim, who I found to be an excellent lecturer. For the first week, I mostly observed at the main ED. The faculty and residents were unbelievably gracious. One of the attendings, Dr. Ahn, went out of his way to make sure I was having fun. 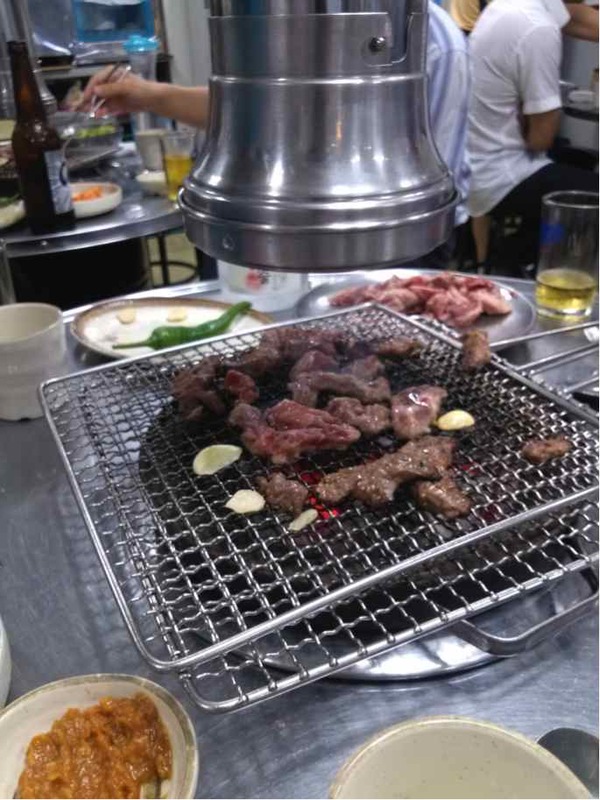 The first week, he took me to dinner, where we had grilled meat called "galbi". I really can't put into words how delicious "galbi" is, you just have to go to your local korean restaurant and try it. You grill the meat at your table, so the meat is always warm and practically melts in your mouth. I spent the first week exploring the hospital complex. It literally is like a small town. 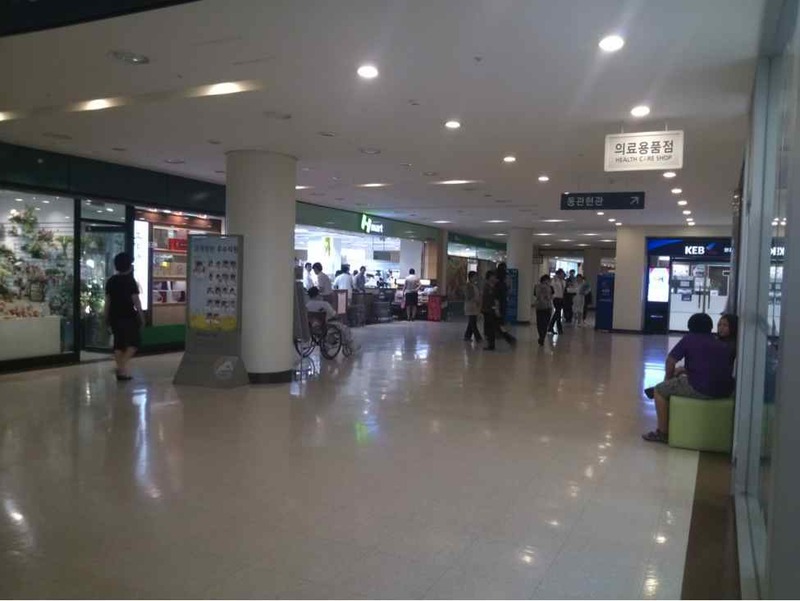 The complex houses a grocery store, several sit-down restaurants, a convenience store, a bank, etc. 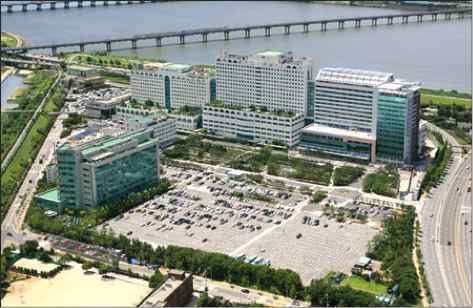 The medical complex also is home to the Ulsan School of Medicine and several research labs. The clinical portion of the complex is comprised of three large buildings, named the New building, the West Building, and the East building, which are all connected via an underground passage. The second week, I had decided to visit the cancer ED. I'm not sure if its because Asan is a large tertiary facility, or whether its due to the sheer prevalance of cancer in South Korea, but I felt that a large proportion of the patients we saw in the ED had some form of cancer. Unlike the US, gastric and hepatobiliary cancer is the most common, followed by lung cancer. ED crowding has become a huge issue in South Korea, with the majority of the ED footprint and beds being consumed by ED admission holds. As such, Asan hospital decided to build a separate ED designated specifically for cancer, with the hope that it would alleviate some of the ED crowding. The idea is that for cancer related emergencies, they can be admitted to the cancer ED for 48 hours. This is supposedly the first of its kind, and it was quite impressive. I normally ate lunch with either the faculty or attendings, and it was during this time that I could usually ask them questions about the Korean healthcare model. South Koreans benefit from a large public healthcare insurance system. However, it does not cover all costs, and the percentage of coverage depends on the particular diagnosis. Hence, there has been the development of private insurance, which will cover the remaining costs. During my second week, I pretty much explored Seoul on my own. 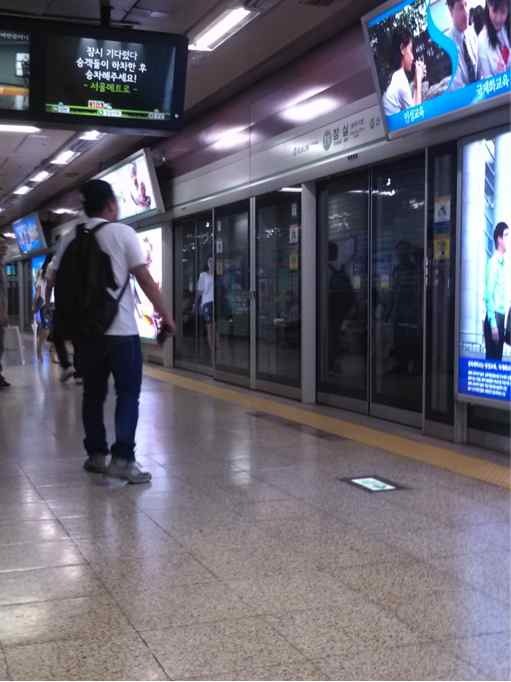 Seoul possibly has the BEST subway and public transportation system in the world, so it was pretty easy to get around. Some of the subway stations are pretty incredible, and are practically shopping malls, with quite a few restaurants, stores, and of course the all important air conditioning. 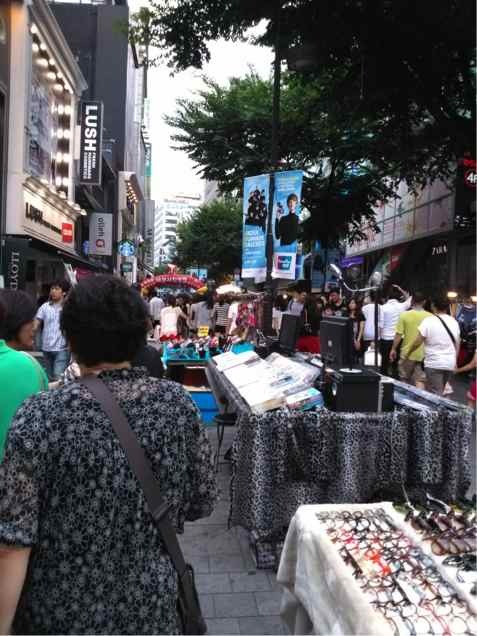 Exploring the streets of South Korea is amazing, there seems to be an overabundance of places to eat or shop. I've also never seen such a concentration of coffeeshops, in fact sometimes I would see two or three coffeeshops right next to each other. Two of my most favorite things to do is to eat and read at coffeeshops, so South Korea was kind of a paradise. One of my favorite places to eat were at the streetfood vendor carts. You can actually get a really filling meal for maybe $2 US. 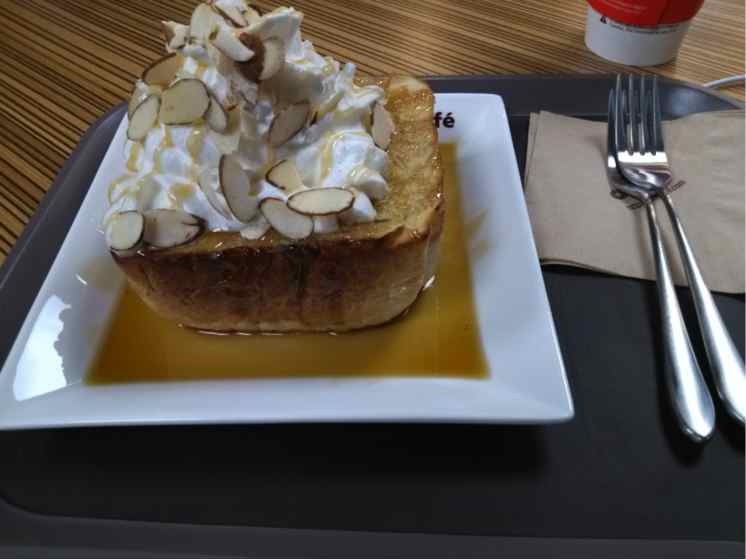 In terms of coffeeshops, Starbucks has been incredibily successful in Seoul, but I actually preferred the Korean brands mainly due to the desserts. There is one dessert called a honey buttercake which was so sweet and delicious, I felt I would get diabetes just looking at it. It was also during the second week that the faculty and residents invited me to something called "Hwe Sheek". Hwe sheek is a practice that is part of the company culture of South Korea. Once a month, the entire faculty and residents meet at a restaurant to have dinner and drinks together. Its sort of a team building event, and its really fun. Its a really enjoyable atmosphere, as people are telling jokes, laughing, while eating grilled pork called "Sam-gyeop-sal". During the Hwe-Sheek, I got to discuss the state of medical informatics with Dr. Jae Ho Lee. As in our hospital, the push to implement computerized physician order entry was started in the emergency department. Dr. Lee is an EM attending, who self-taught himself computer science and informatics, and is a leader in the informatics program at Asan. It might be due to the IT culture of South Korea, but some of the advances in informatics is well beyond what we have in the US. One example, the staff at Asan have developed in-house iphone and android apps that allow them to view CT scans and clinical notes/data. Its much more snappier than the remote log-in solutions we have in the US. Its quite an exciting time, because Dr. Lee is planning to roll out an informatics fellowship in 1-2 years, and actually invited me to apply. Its actually a tempting offer, I think I could learn a lot about clinical informatics in South Korea, and I may take him up on it. The third week at Asan hospital involved me visiting the acute care unit (ACU) and the pediatric ED. The ACU is a fully equipped ICU run by the department of emergency medicine. It is staffed by a second year resident, and an EM-Critical Care trained attending will round in the morning and afternoons. They also use this unit as an observation unit. Because the emergency medicine department staffs this ICU, the critical care training for the residents is quite amazing. I did ask them why such a unit was built for the emergency department. It again came back to ED holds, due to the bed shortage, they needed a place where critical patients could receive quality care while awaiting an ICU bed. Although, during this discussion, I found that the triage system they have complicates the matter. In the US, we often have waiting room times that can measure in the hours. At Asan, the latest anyone waits is 30 minutes, in fact the waiting room is often empty. They achieve this by finding a space for the patient immediately after triage, such as a chair or perhaps on the floor. The primary motivation for this type of triaging is that they are fearful that a critical patient in the waiting room won't be seen for hours. As such, its not uncommon that they have to intubate on the floor, which they nick named "Tahng-tubation", "Tahng" meaning floor. 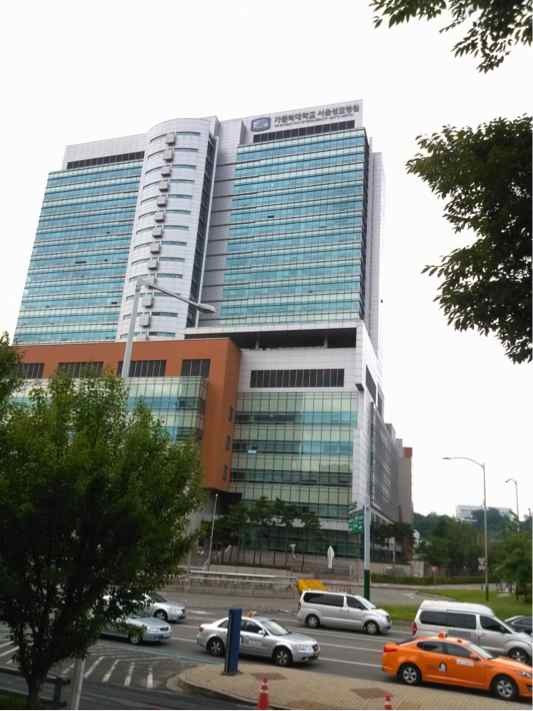 Pediatric emergency medicine is not really an established specialty in South Korea. Currently, there is no fellowship for pediatric EM available. So the pediatric ED is staffed primarily by pediatricians, and one attending who is dual boarded in both pediatrics and emergency medicine. The department of emergency medicine provides their first years with a one-month rotation in the pediatric ED, and also assists whenever there is a code or any trauma cases. I had the opportunity to have lunch with one of the EM attending that staffed the pediatric ED, and he concurred that Korea does need a pediatric EM fellowship. He stated that although the pediatricians do an excellent job, the mindset and philosophy needed to practice emergency medicine efficiently differs tremendously than what one receives with pediatric training. He did tell me that there are plans to institute a pediatric emergency medicine fellowship in the near future. During this week, I explored an area of Korea called Myeong-Dong. Its really famous for its theaters and shopping, and attracts quite a few tourists. 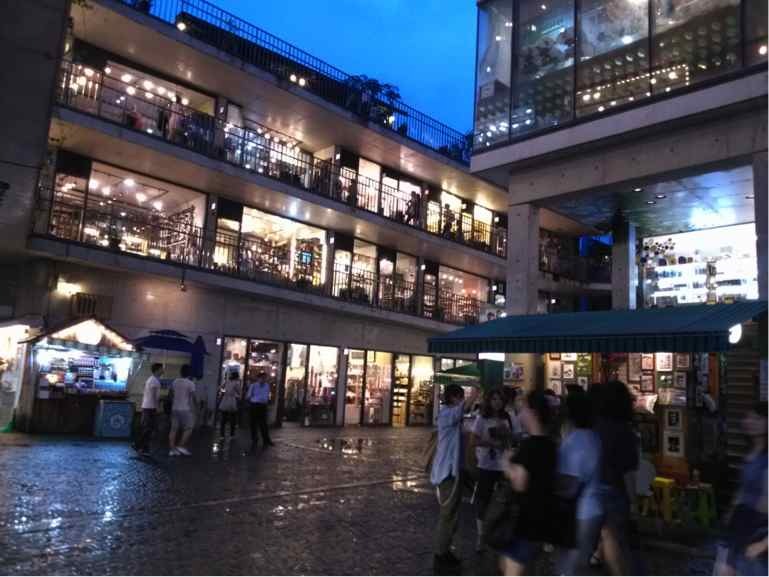 The best way to describe Myeong-Dong would be to mix a outdoor shopping mall + flea market + theaters and place it in Manhattan. It was quite the experience. 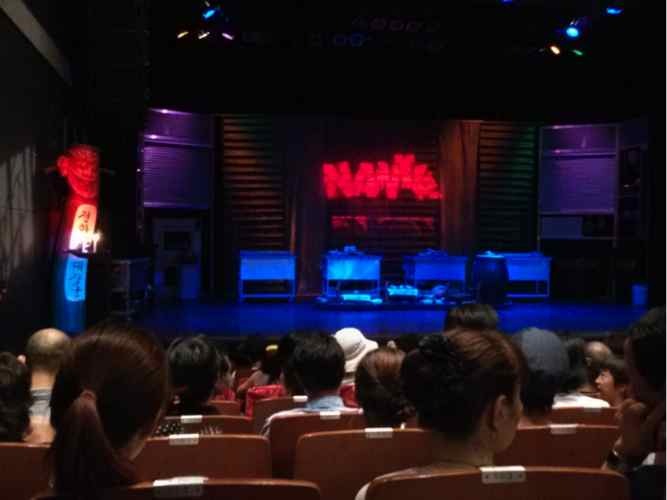 While there, I was able to catch a performance called Nanta, which is an acrobatic comedy. The fourth week at Asan involved visiting the fast track area. I actually enjoyed this portion of my observation the best. The fast track area is a collection of five rooms, each with a desk, computer, and a bed. Unlike the US, each room is stationed by a physician, and the patients are brought to each room to be seen. I actually see this as a more efficient way of seeing fast-track patients, as I have found that the bottle neck to seeing more patients is often a lack of beds. 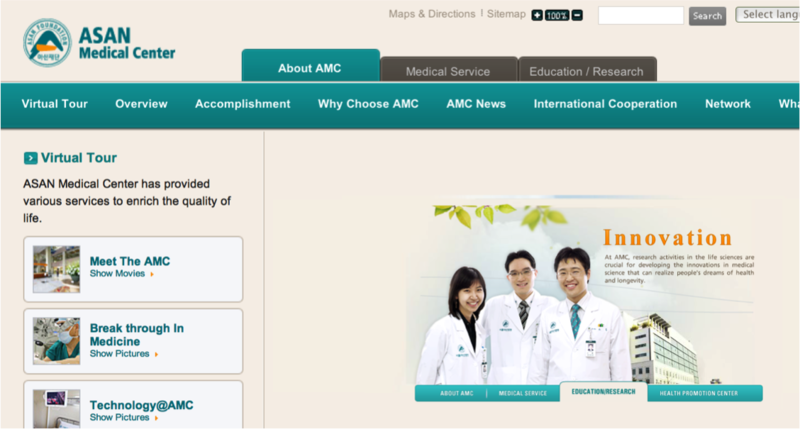 I felt I was able to learn Korean patient-doctor etiquette in the fast track area the best. Given South Korea's confuscianism background, I always thought that the patient-doctor etiquette would be paternalistic. To my surprise, it was quite the opposite. The physician typically acts an advisor, so the doctor will often present his or her analysis, several solutions, the pros and cons of each solution, and finally a recommendation. Nevertheless, there were some subtle differences. For example, both parties often use the honorific form of speech, and instead of shaking hands you would bow. I was quite impressed with the level of politeness exhibited by both the patient and doctor during these exchanges. 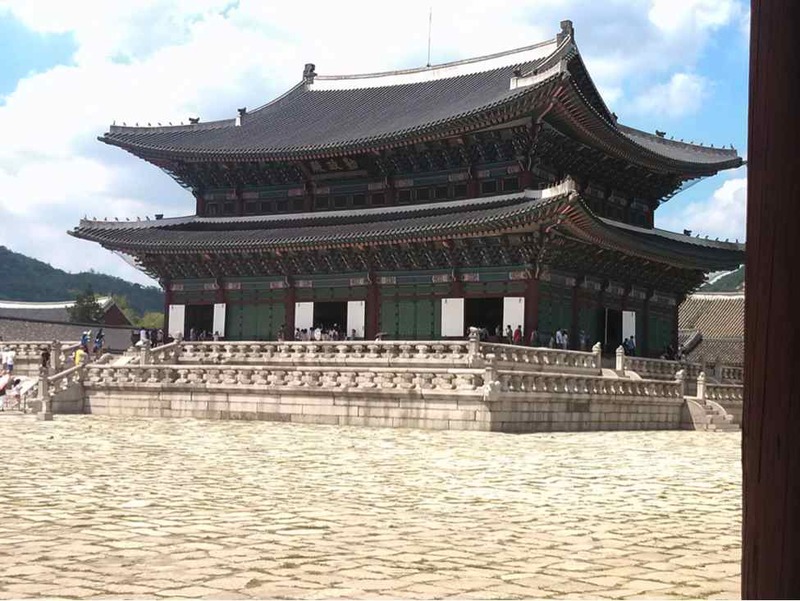 This week I decided to check out the largest Korean palace called, Gyeongbukgong palace. The original palace was apparently burned down during the Japanese occupation, and is currently being reconstructed. 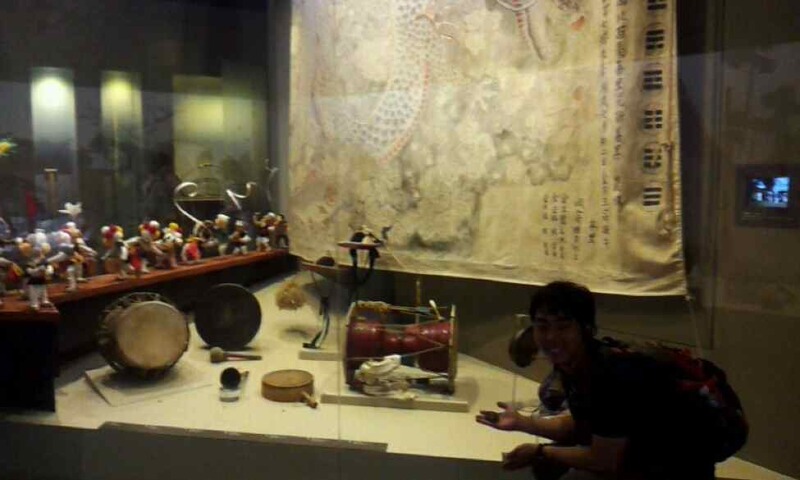 Its really neat, especially given that there is an attached museum. The fifth week involved spending time at the Asan MICU. The Asan MICU is comprised of two separate areas. Much of the practice of critical care medicine is similiar to that seen in the US. It might be due to the fact that Asan is a large research center, but I felt that Asan is quicker to adopt more cutting-edge practices. Therapeutic hypothermia and post-cardiac arrest ECMO was used with much more frequency than what I saw in the US. There were quite a few interesting cases, one lady who had Takotsubo, which I have never seen in real life. My last two weeks were spent at St. Mary Catholic's hospital, in the department of radiology. I was lucky in the fact that I was chosen to participate in an international ultrasound fellowship sponsored by the Korean Ultrasound in Medicine society. My goal during this period was to become more familiar with pediatric abdominal ultrasound, as well as hepatobiliary ultrasound. Its interesting, the radiologist here do their own ultrasound scans. This was really helpful for me, as I could get a lot of one-on-one teaching from the radiologist on how to obtain certain views. I was also surprised that one can make inferences on certain diagnosis based on ultrasound, such as fatty liver disease. As at Asan, the faculty and staff were amazingly kind. On the last day, I got to meet the president of the hospital, who presented me with a certificate for completing their course. During these last two weeks, I spent the weekend visiting my aunt and cousins in a different city called Daejeon. Daejeon is not nearly as large as Seoul, but it is one of the more larger cities in South Korea. The last time I had seen my family in Korea was six years ago, and it was amazing how much they changed. I also took this time to visit an area in Seoul called Insadong, which is a street filled with traditional restaurants, stores, and teashops. 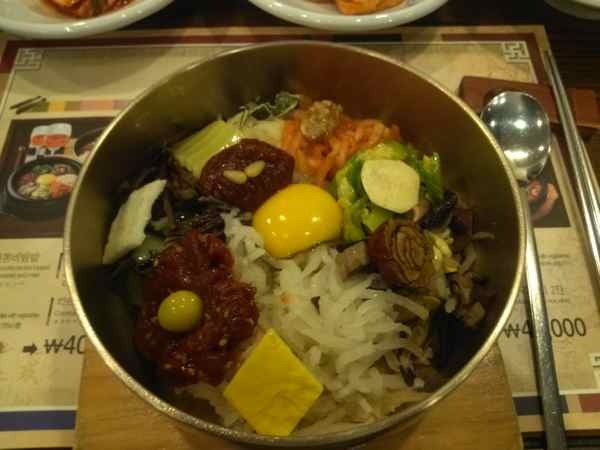 On my last day in Korea, I decided to eat traditional bi-bim-bap, and it was of course amazing! I had an amazing time in South Korea. Not only did I make invaluable contacts and new friendships, but also a greater understanding of the Korean medical system. I feel that I have been extremely lucky to be able to attend a residency that makes it a point to allow their residents to experience something as unique as rotating through South Korean hospitals. I'm grateful for all the support that my residency, the Palmetto Health Alumni Associtation, Asan Hospital, St, Mary's hospital, and Palmetto Health has provided, in order to make this all happen. So have I made a decision as to whether I want to practice in South Korea? After all that I experienced in South Korea, I think the answer is "Yes!". Although there is still a lot of work ahead of me to make that dream a reality... so check in on me in a few years and I'll tell you whether I made it happen.